If you do not know how to answer the question “What is the difference between Prestashop version 1.6.1.1. and version 1.6.0?”, I will provide you with an answer in this article. In general, there were no major changes. 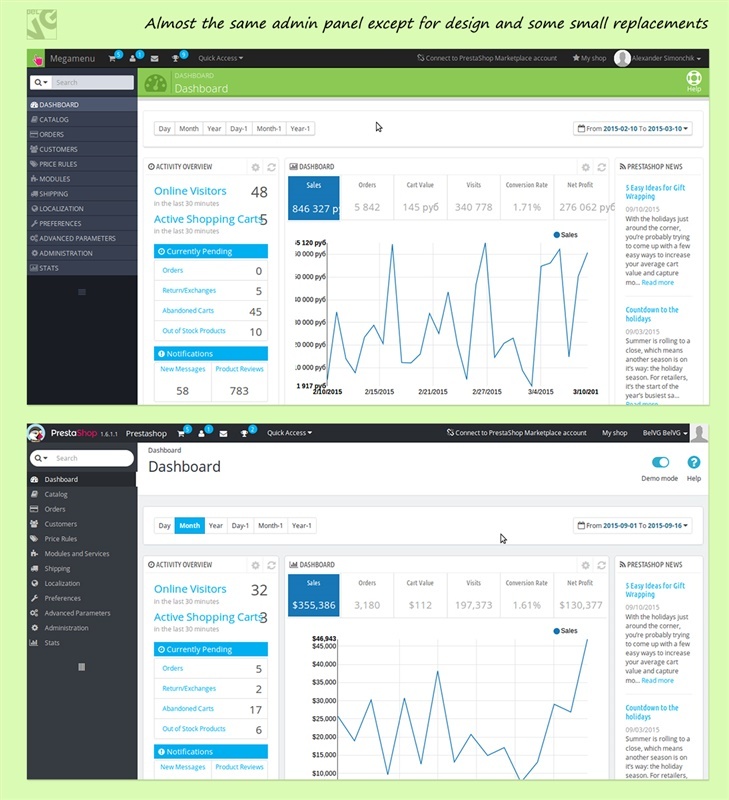 Several small fixes and changes have been made to improve the way Prestashop works. Let’s say, you want to move your module to header or footer or wherever. In previous version you were choosing the module and you had full list of hooks (places where you can put your module) and if you were selecting a wrong hook, message saying that you cannot place your module there used to appear. In 1.6.1.1. when you select your module, only allowed hooks appear. This is something that makes life easier for users and developers. There are more of such changes. If you are curious to see all of them, feel free to take a look at changelog. If you are asking yourself this philosophical question of modern days “To upgrade or not to upgrade?”, don’t worry, upgrade. “I found a module on your Presta store which is compatible with Prestashop 1.6, will it be compatible with Prestashop 1.6.1.1?” The answer is yes. 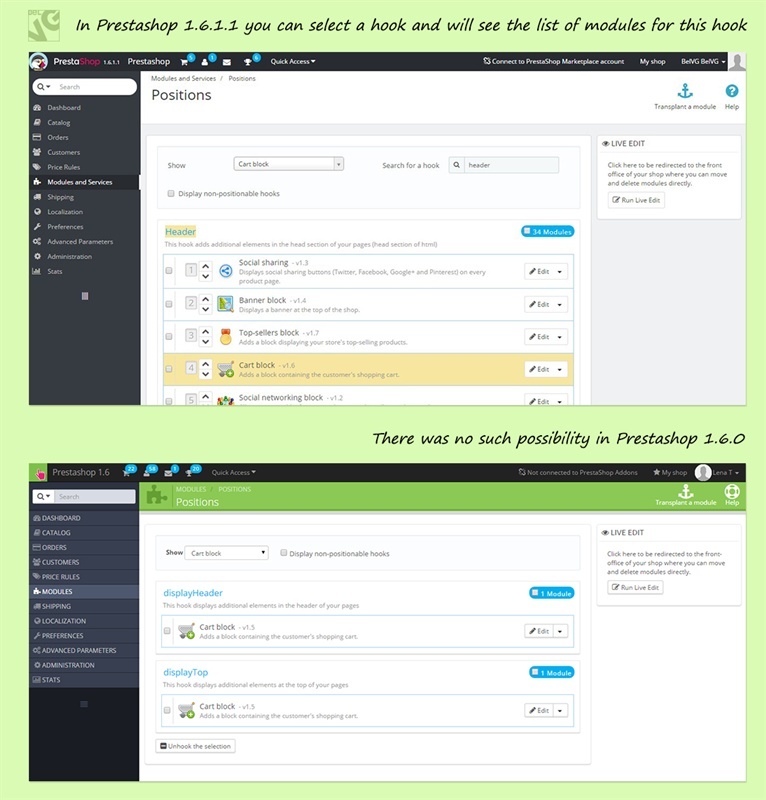 PrestaTeam are already working to release Prestashop 1.7. 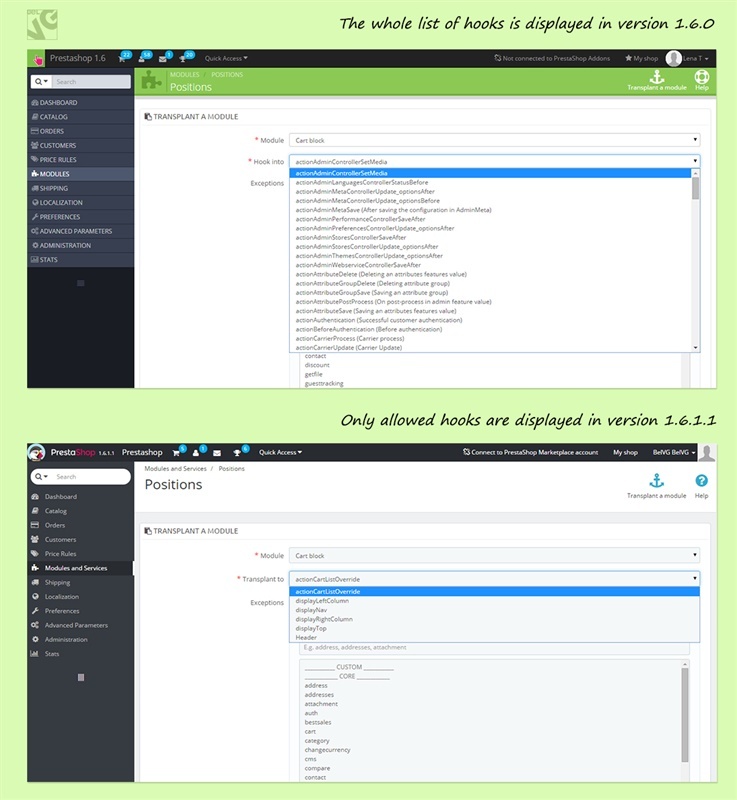 This is the major change that we are expecting and in the meanwhile check our Presta store for more cool features and do not forget to update your license if you already bought a module there.